ORBIT Lab is a creative and inspirational tech hub with workspaces and unique experimental facilities packed with the most recent technologies in ICT such as mobile, wearable, cloud, internet of things, virtual reality and augmented reality. The lab space is situated in the very heart of campus at Katrinebjerg. Together with the best researchers and domain experts from Aarhus University and our partners, we challenge the eager minds of driven students to create innovative solutions, explore their ideas and get them off the ramp. The goal is to create a vibrant and interdisciplinary knowledge hub where new ideas can flourish. 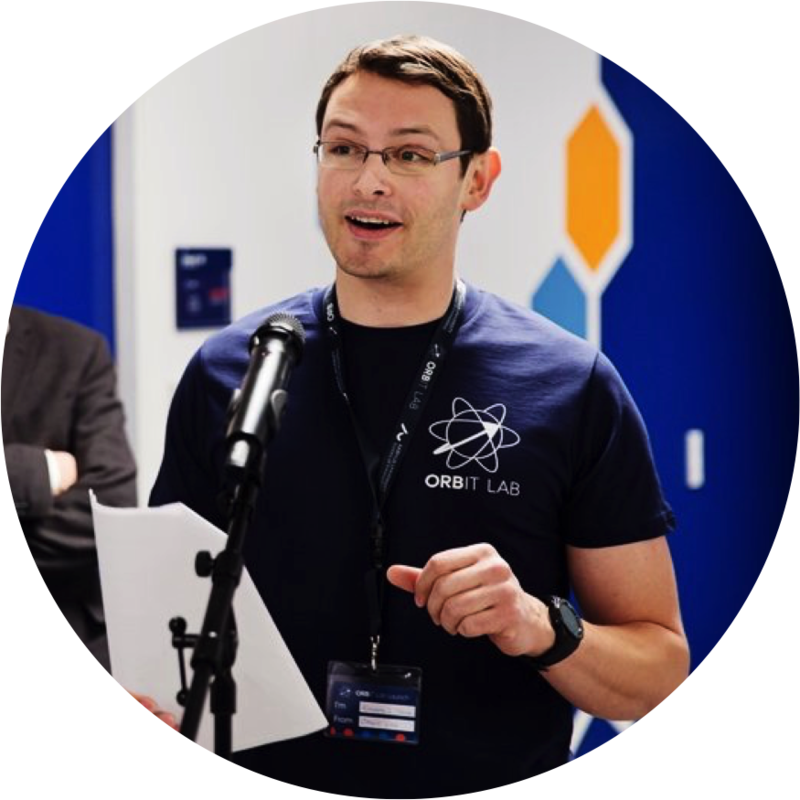 The ORBIT Lab initiative was launched at Aarhus University School of Engineering in close collaboration with other departments and centers at Aarhus University and a number of leading tech companies. We are re-thinking the way to develop highly driven and creative tech talents for the future and to inspire innovation and entrepreneurship. We also seek to combine domain expertise and business insights with science and technology to power interdisciplinary R&D projects. Members work on a variety of projects ranging from new tech startup ideas or academic projects to just tinkering with cutting-edge technologies to enhance their knowledge and skills. Members are dedicated to sharing and learning together, and to support this we host a variety of tech talks, workshops, hackathons, pitch nights and other events to facilitate networking and knowledge sharing in the community.